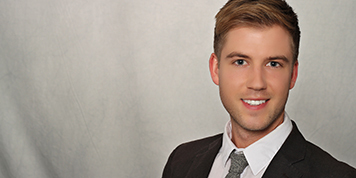 He found the MBA Chinese Business Practice at LSBU to be perfect for his needs. "It was the only programme of this kind that I found, and I was not only looking at universities in the UK – also Germany, Europe in general and Asia. China seems to be everywhere now and gaining importance in international business operations by the day." Having used to live in Hong Kong and visiting China a few times, Robert believes China to be one of the most exciting countries around. "Studying in China does not only look good on a CV but is also a life lesson that lets us grow. It is something I experienced in Hong Kong and I have the exact same feelings here on the course in Shanghai." The intimate learning environment helped bring out the best in Robert. "The small group definitely made it easier to learn. We had three of our professors from LSBU there, each for a week, and we were able to create a very intimate and personal atmosphere, something I would expect to be more difficult in a class with about 40 students. All six of us were able to speak up in class frequently and have many private conversations with the professors. The programme also gave us time to experience the city and culture, which I consider to be one of the most important ideas of the programme." Robert enjoyed living in London as much as he did visiting China. "London is one of the most tolerant and open minded cities I have lived in. In addition, it is the perfect city for young business professionals to gain experience." "I believe that the programme is designed very well and I fully enjoyed my time here. I felt taken care of very well and know that LSBU staff are trying to make this experience the best possible for us. This is especially due to the professors who came to Shanghai and helped us with our issues and reassured us." A dream job for Robert would be to work in China or elsewhere for a Chinese company and work as an advisor, helping the company become sustainable on a strategic level. Reflecting on his decision to choose the course at LSBU, Robert has no regrets. "It is a brilliant challenge that is worth taking – it makes you learn for life on both a professional and personal level. I think diversification of experience is one of the most important assets for our generation. It makes me feel proud and motivates me to be able to live, work and study here."